This post is a day late because I ran into problems with the day jobs (I had to give a midterm exam to my students and it literally took all the time I had that day, along with everything else). I recently acquired a set of five original photographs of Christine Jorgensen, the first “mass media” transgender woman in the world. Four of the photos date from 1953, and one which is autographed by her from between 1957-1962. The following photograph is labeled October 10, 1953, and has no caption. 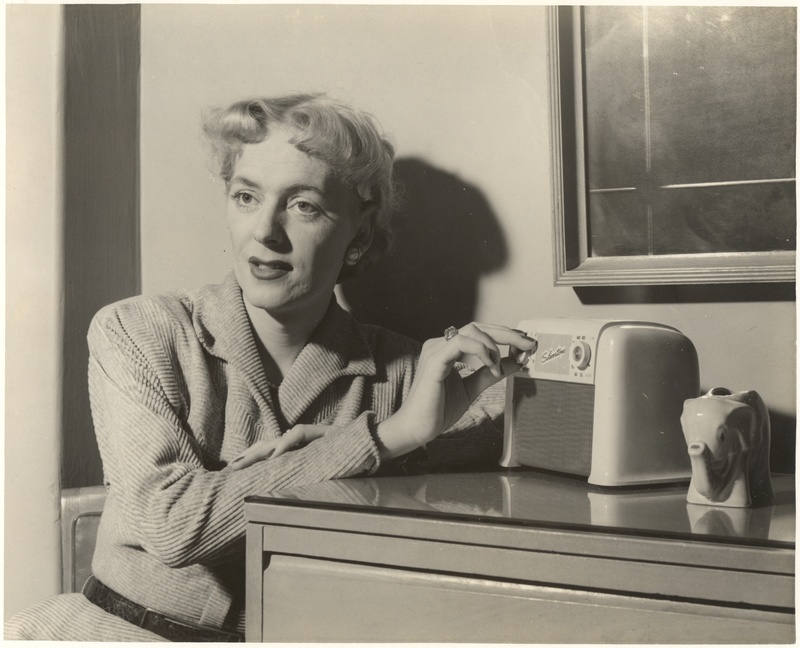 However, I can tell you that the photo depicts Christine on a trip to Havana, Cuba, and the reverse of the photograph has notations in Spanish and a development stamp of “Havana.” Here she is striking a more formal pose next to a Silvertone radio and a statuette of an elephant – both items very clearly screaming mid-century design. Sadly, I have no other context for the exact scene in this photograph. This entry was posted in History and tagged christine jorgensen, cuba on March 10, 2017 by .